Castellucci Hospitality Group, the culinary company behind Krog Street Market’s Spanish tapas spot Bar Mercado—as well as Cooks & Soldiers, the Iberian Pig, Sugo, and Double Zero—is opening its first non-regionally focused restaurant on February 26. 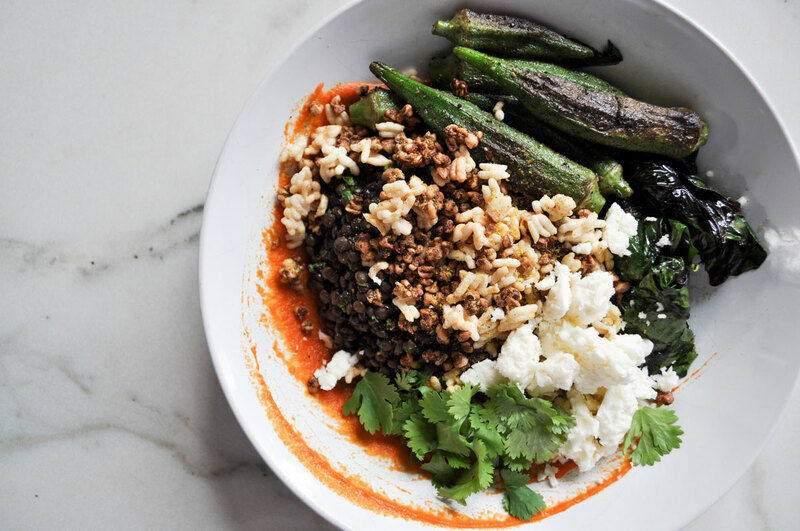 Recess is a 15-seat Krog Street Market food stall focused on “healthy-ish food satisfying to the soul,” says chef Victoria Shore. “We focus on delicious first at an accessible price point,” she says. Recess will serve lunch and dinner daily, as well as breakfast on the weekends. Though Shore has a background in pastry, she’s only making one sweet: an oatmeal and date bar. “We don’t want to compete with Little Tart [Bakeshop],” she says. Instead, she’ll focus on salads and grain bowls with protein add-ons. There will be a mushroom patty, a lamb sandwich inspired by Shore’s study abroad in England, banana and sunflower butter toast (with dark chocolate, raspberry, and lemon cream), and, for breakfast, a golden chia pudding with turmeric. Entrees range from $9 to $11. 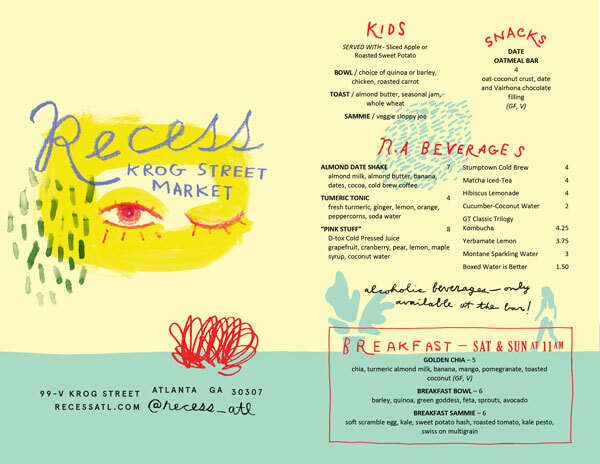 Unlike most Krog Street Market stalls, Recess will offer a children’s menu, too. Pair your meal with wine by glass, or try the seasonal alcoholic slushie. (Froze, anyone?) Trying to stay away from the booze? Order the turmeric tonic, hibiscus lemonade, or the blended date shake, made with coffee, almond milk, almond butter, banana, cocoa, and dried dates. A d-tox juice will be available, too.